The second day of the Abu Dhabi Grand Slam saw the return of some of the sport’s big guns to the World Judo Tour. Rustam Orujov and Sergiu Toma walked in as two of the favourites but being favourite doesn’t always translate into victory. As predicted World number one Orujov made it to the final of the -73kg final, but to the surprise of some he was beaten to the gold medal by Swede Tommy Macias. Macias upstaged the top dog, who won silver at the Rio Olympics, and at the same time highlighted his status as one to watch. Both judokas left everything on the tatami, but Macias recovered from a yuko down to defeat Orujov with a waza-ari score and claim top honours. Unlike Orujov, Sergiu Toma didn’t disappoint and lived up to his favourite’s tag by winning the -81 kg title. 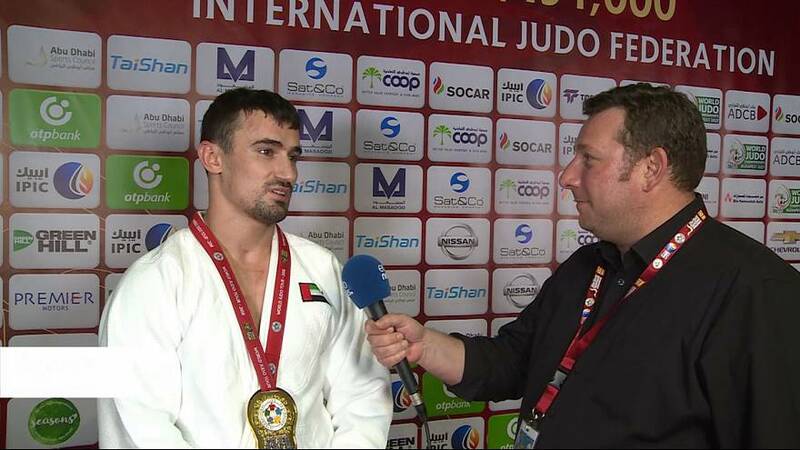 Toma defeated Victor Penalber of Brazil to become the first judoka from the United Arab Emirates to win a Grand Slam title. In front of his home federation and supporters the Olympic bronze medallist broke the deadlock with one minute of the fight remaining – scoring a waza-ari to seal the win only two months after his heroics in Rio. Over in the women’s competition World Judo Masters silver medallist Juul Franssen of the Netherlands struck gold in the -63kg category. Franssen reached the top step of the podium after her opponent tapped out following an immobilization technique known as an osae komi.